Form an LLC – Which State? Which state is best to file your LLC in? Forming an LLC requires a lot of choices. The first is probably which state to file your LLC in. The quick answer is that it is usually the easiest and least expensive to form an LLC in your home state. It used to be that everyone had heard of Delaware Corporations and Nevada LLCs. These states were quick on the business scene and formed laws favorable to businesses. As a result many businesses were formed in these states. Today all that has changed. While Delaware and Nevada are still good places to form an LLC or start a business, so are the other states. Most states caught on that they were losing business revenues to Delaware and Nevada and they have reformed their laws to compete. The state where you reside and plan to do business is usually the best state to form an LLC. It will save you money as you can act as your own registered agent and take care of your own business. As you consider which state to form an LLC, consider the registered agent costs. Yes, you need a registered agent for your LLC. If you live in the state where you filed your LLC, you can act as your own registered agent. If you don’t, then you will have to pay someone to act as your registered agent in the state where you form an LLC. If you are acting as your own agent, you can be certain that you will get all of your legal correspondence in a timely matter. This is so important, because a legal summons has to be answered quickly. The Court does give leniency to people who shirk their responsibilities, even if it was not their fault. If you are your own agent, then you can answer all legal correspondence by the required date and prevent problems. 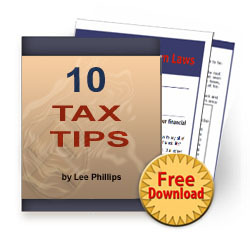 As you consider which state to form an LLC, you should consider possible legal issues. If you are doing business in your state and have formed your business there, it is the only place you can be sued. If you form an LLC in another state you can be sued in both the state where you do business and the other state. It is nice to know that you won’t have to defend a lawsuit in another state. You will be sued where you do business. 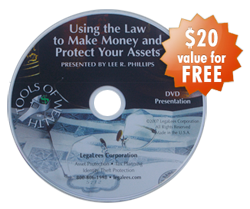 It is much less expensive to handle legal challenges where you live. There is another thing to consider in the choice of which state to form an LLC. That is the choice between multi-member and single member LLCs. Florida had a case where a single member LLC was disallowed by the court to satisfy a claim. For liability protection, if you can’t form a multi-member LLC in Florida, you may wish to consider another state that still has that protection in place. Since the Florida case several other states have followed suit. It may not be long before all states are disallowing the single member LLC protection. It is probably wise, because of where the case law is going, when you form an LLC, to form a multi-member LLC and file in your state. For more information on forming an LLC and learning about the operational differences in Single Member vs. Multi-Member managed businesses, click HERE. Good information. I hope to receive more information.